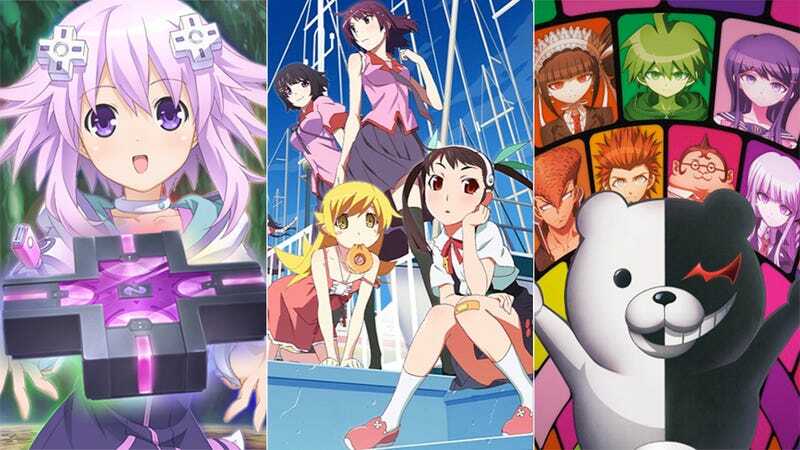 As we head into July, we finish up the spring anime season and head into the summer one. But with over 30 new anime in the pipeline, how do you know which ones to watch? Check out the trailers and brief blurbs about each to see what catches your interest. What It’s About in One Sentence: To graduate from this very special high school, you must kill one of your classmates and get away with it. What It’s About in One Sentence: This is the second season of an anime about two friends with mystical powers in a medieval setting. What It’s About in One Sentence: Two samurai fighting through one of Japan's most dangerous eras. What It’s About in One Sentence: The second season of an anime following a war orphan who aims to be the world's greatest general and a young king who will one day become emperor of all of China. What It’s About in One Sentence: This is an alternate universe tale starring the characters of Fate/Stay Night as magical girls. What It’s About in One Sentence: The second season of an anime about magical girls who sing songs to transform and fight aliens. What It’s About in One Sentence: Cute dolls who power up with special cards and fight evil. What It’s About in One Sentence: A group of girls use magical tarot cards to battle while they solve mystical mysteries. What It’s About in One Sentence: The third anime series about a high school boy finding love and battling supernatural threats. What It’s About in One Sentence: This series uses traditional Japanese cut-out animation to act out traditional folktales and urban legends surrounding the supernatural in Japan. What It’s About in One Sentence: In a world where God has disappeared and thus no one can die or have children, a girl must help the would-be dead find peace. What It’s About in One Sentence: Based on the 1970s anime Gatchaman (Battle of the Planets), this anime follows a group of people with special powers who must protect earth from alien threats. What It’s About in One Sentence: The third series in the Rozen Maiden franchise is an alternate universe retelling of the original story following a middle school boy and a mysterious living doll. What It’s About in One Sentence: The second season of an anime about a perverted boy who is killed, resurrected as a demon, and tasked with defeating fallen angels. What It’s About in One Sentence: Based on the game series of the same name, this series sets up a comedic, magical girl-style adventure where the characters and locations all have proxies in the real world video game industry. What It’s About in One Sentence: A young noble discovers that he must choose the demon to lead hell while Lucifer rests. What It’s About in One Sentence: A vampire obsessed with the human world vows to find a way to bring a human girl, who is now a ghost, back to life. What It’s About in One Sentence: The second season of an anime about a bumbling, incompetent hero traveling the land while trying to take down the recently resurrected demon king. What It’s About in One Sentence: After dying while protecting a girl during a robbery, a boy finds himself reincarnated in the body of her dachshund. What It’s About in One Sentence: From the creator of Tatami Galaxy comes the tale of a young Tanooki living in modern day Kyoto who spends his time taking care of an old Tengu, fighting other Tanooki, and playing with a psychic human girl—and uncovering the mystery behind his father's untimely death. What It’s About in One Sentence: A city boy moves to the Japanese countryside and enrolls in an agricultural school. What It’s About in One Sentence: A comedic look at the staff of a government health and welfare office. What It’s About in One Sentence: After one girl catches a fellow female student practicing kissing with a pillow, the two girls begin practicing the aspects of romance together. What It’s About in One Sentence: This is the third season of an anime about a boy who has no interest in real girls and is tasked by a demon to help her collect run away souls hiding within the hearts of normal people. What It’s About in One Sentence: This is the third season (despite what the name implies) of an anime about the various students in a college Otaku club. What It’s About in One Sentence: A girl who is amazing at dating sim games discovers she's not as popular with the guys as she expected. What It’s About in One Sentence: The adventures of a Japanese school girl and her friend from Great Britain. What It’s About in One Sentence: This is the second season of an anime about a high school freshman who manages an elementary school girls’ basketball team. What It’s About in One Sentence: This is the second season of an anime about a young high school girl who moves to a scenic small town and likes to take pictures. What It’s About in One Sentence: After making a joke that she plans to join the “go home club,” a young schoolgirl finds that such a club actually exists. What It’s About in One Sentence: This is the third season of a three-minute-long micro-anime about the daily lives of an elementary school boy who looks like an adult and his high school age sister who looks like a child. What It’s About in One Sentence: This is the second season of micro-anime (each episode is about 2 minutes long) about the crazy lives of a highschool girls tennis club. What It’s About in One Sentence: This is Gainax's newest anime about a high schooler at an all girls’ school who joins the C3 club—a club that focuses on military war games. What It’s About in One Sentence: A Japanese girl moves to the countryside for high school, living with a friend of her father's and his son—who's less than happy to have her there. What It’s About in One Sentence: After her father re-marries, a young girl finds herself living in a mansion with her thirteen attractive step-brothers. What It’s About in One Sentence: Based on a popular Japanese commercial, this anime is the story of often shirtless pretty boys on a high school swim team.